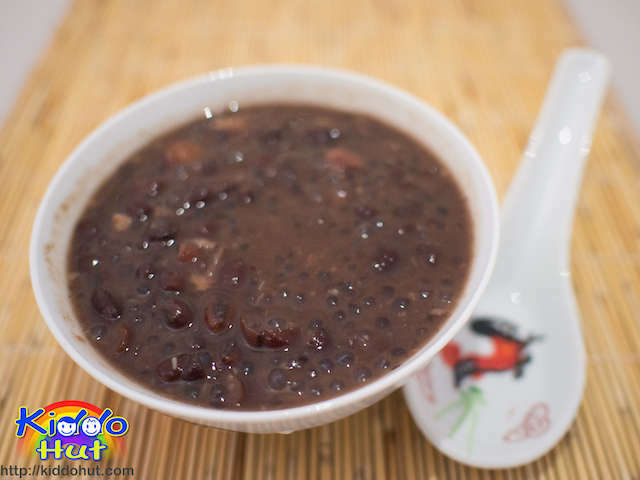 Red Bean Lotus Seed Soup is usually served in a wedding dinner after the long course dinner. It symbolises fertility blessing to the newly wed couple or wishes the newly wed to have a lovely baby soon (早生贵子). Another variation is to add Lily bulb 百合, which symbolises a good match of a hundred year wishes to the newly wed couple (百年好合). To make this dessert more delicious, dried tangerine peel 陈皮is added. The addition of the tangerine peel gives the dessert a citrus flavour. Tangerine peel has some health benefits like aids in digestion, ease wet cough due to excess phlegm in the lungs and stimulates blood circulation. Apparently, it has some warming effect to our body with anti-viral and anti-bacterial abilities. In fact, you can make your own dried tangerine peel too although it is quite easy to buy from shops. Lotus seeds are good source of protein, magnesium, potassium, and phosphorus. It has specific benefits to the kidneys, helping to restore vital energy within the body and nourish the spleen. How about red beans? It is also good source of protein, iron, naturally low in fat, cholesterol-free and high antioxidant. In fact, the high fiber content in red beans helps to lower the blood cholesterol levels as they are digested very slowly. With so many health benefits and its warming effect on our body, it is suitable to be served during cool weather. You can serve it warm or cold. This dessert is one of the easiest dessert to cook. As it needs to be cooked for 2.5 hours, I used the slow cooker. Still, you need to watch over the amount of water while cooking and top up accordingly. Also, do not add too many dried tangerine peel as it can make the dessert bitter. For the lotus seed, I did not used the usual white/pale yellow kind (i.e. peeled). I don’t know how they peel the skin, so I rather use the one with skin. I have added cooked sago pearls as well. If you like the dessert in paste form, you can just blend it (without the sago pearls). Try it out! 1. Soak the red bean in water for 1.5 hours. Drain away the soaking water and put the beans in the pot. 2. 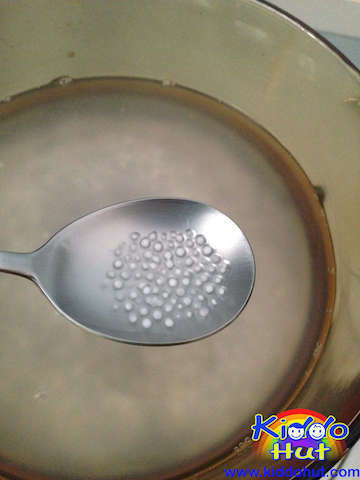 Meanwhile, to cook the Sago Pearls, boil the water in high heat. 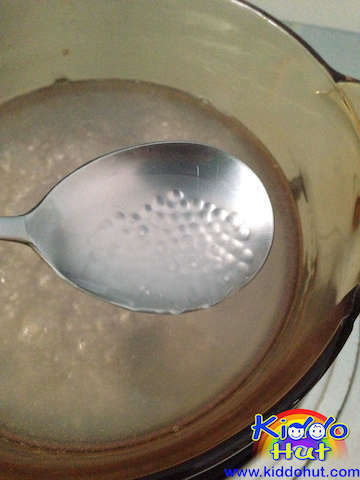 Once the water is boiling, turn to low heat then add the sago pearls. Cook for 15 minutes and stir occasionally to avoid the pearls sticking at the bottom of the pot. When the pearls turn almost transparent, turn off the heat and let it rest for another 5-10 minutes until all sago pearls turned transparent. Rinse under water to wash away the excess starch. Set aside. 3. 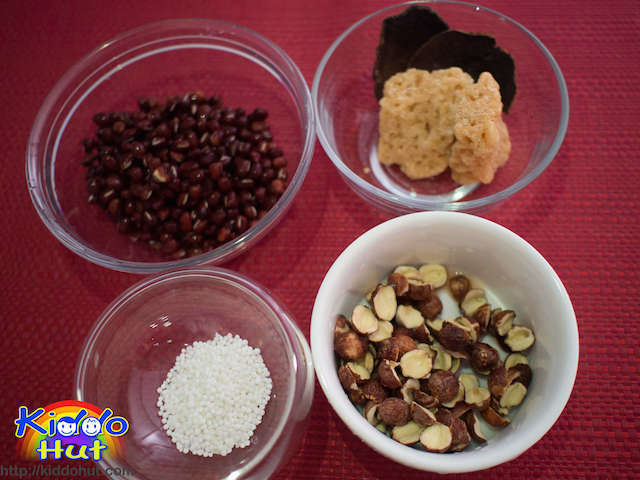 Once the soaked red bean is ready to use, put the red bean and lotus seed in the pot filled with 500ml of water and boil under high heat. 4. Once boiling, turn to medium heat and add the dried tangerine peel. Let the ingredients cook under medium-low heat for 2.5 hours. If you are using slow cooker like me, transfer the pot to the slow cooker and turn to ‘High’. Top up water as needed. I have used 700ml water in total. If you like it more watery, you can add more water but the taste may be diluted. 5. 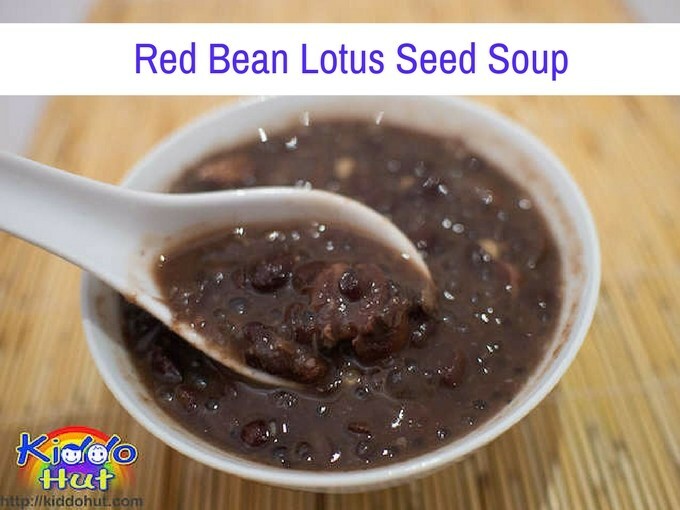 When the red bean and lotus seed are mostly broken down and the soup texture is thick with dissolved red bean, add the honey rock sugar to taste. Do not add sugar before the soup texture is thick. Once sugar is added, the beans won’t be soften further. Once the sugar has dissolved, turn off the heat. 6. Add the cooked sago pearls (optional). Serve. If you like it to be smooth and thick, you can blend the soup in the blender.